The quarterback room at the Eccles Football Facility has one empty seat today, as Jack Tuttle has announced his withdrawal from the Utah football team. Now, there are no official statements regarding the reasons why Tuttle decided to leave the team, but there could be a multitude of reasons why the four-star recruit is no longer with the team. To me, the most qualifying reason is pretty obvious — the guy has yet to play a down of college football. Tuttle was a four-star recruit out of high school and was considered by many to be Utah’s best quarterbacking recruit in school history. This is the same Utah team that recruited Alex Smith, who now plays in the NFL. According to head coach Kyle Whittingham, current backup Jason Shelley was even with Tuttle coming out of spring camps and practices, and the choice was made to list Shelley as the backup while Tuttle stayed on the sideline, assigned the QB3 spot on roster charts. Now, I’m no four-star quarterback, but would I be frustrated if I had all of this hype, and wasn’t even the first man up if starter Tyler Huntley went down? Absolutely. You don’t get compared to a proven NFL starter and be okay with riding the bench through six games. This whole situation is exacerbated by the play out of Utah’s quarterbacks through the season thus far. Huntley has had ups and downs, and it has shown in Utah’s 4-2 record. When the Utes were blowing teams out, Jason Shelley was always called in to finish the game out, while Tuttle remained on the sideline. Could Whittingham have thrown Tuttle in for the last drive against Weber State or Arizona, when the Utes had 30-point leads? Absolutely. Would that prove anything? Well, it would give Tuttle some game time, in a safer environment to work and experiment, knowing that the Utes would still likely come away with a win. What is lost in this chaos is the fact that Utah is largely in the hunt for the Pac-12 South. This is a team that has had underwhelming seasons in the past three years, where loads of NFL talent couldn’t get Utah over the hump in the South. This is the best shot at a title that Utah has had since joining the Pac-12, and right now, the current team configuration, especially on offense, is working. Huntley is comfortable, Zack Moss is running wild, and Britain Covey is as elusive as ever. This setup isn’t broken, so why would Whittingham fix it? Another reason might be the system that Tuttle was coming into. Whittingham has always favored the mobile, dual-threat quarterback, who was just as reliable with his feet as he was with his arm. Travis Wilson and Alex Smith, Utah’s past two four-year starters, had that quality. Huntley, by far and away, won that battle outright. Tuttle, however, was right there with the two returners in terms of arm strength. According to Gordon Monson of the Salt Lake Tribune, “Tuttle, even as a teenager, had the best arm in fall camp.” According to Monson, what Tuttle lacked was intangibles — aspects of a player that cannot be measured with direct numbers. “He [Tuttle] just didn’t have the other stuff, the experience, the grasp of the offense, the trust of the coaches, the wheels.” The wheels, in this instance, is referring to the running ability possessed by both Huntley and Shelley coming out of spring camps. Look, it’s understandable on both sides. Tuttle’s camp probably feels that he has NFL talent, and sitting out for even one season is only detrimental to his resume entering an NFL draft in the next few years. He wasn’t going to get much playing time at Utah, with Huntley only a junior and slated to remain with the team through his graduation in 2019. Judging by the terms of his departure, it appears to be exactly that. Tuttle would lose a year of eligibility by transferring to another FBS school and would begin playing in 2020 as a sophomore. Utah also has no ability to block him from transferring anywhere, so if he wanted, he could end up at one of the handful of Pac-12 schools looking for quarterback talent, or any of the other schools vying for his services, including Alabama and Clemson. Tuttle’s transfer also has some negative effects on the team’s future, aside from the loss of the talent he brought to the position. 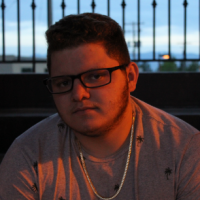 Utah was pretty committed to Tuttle early on in the recruitment process, and the other prospects that the team let walk was a show of that commitment. The Utes had promised Tuttle that no other quarterbacks would be taken this year, pretty much guaranteeing him a spot in the starting job down the line. In doing this, Utah let slip Zach Wilson, a talented arm out of Corner Canyon High School, who now starts at BYU, and Lehi’s Cammon Cooper, who is slated to take the reigns at Washington State. In a tough race, Tuttle simply missed out. 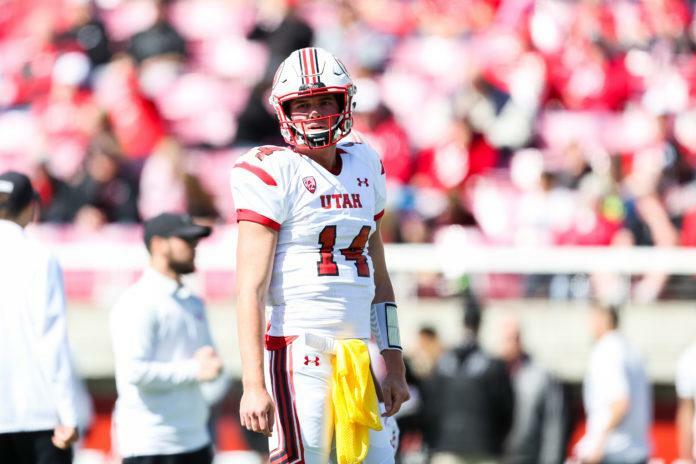 His departure is a pretty good indicator of his reaction to being the third QB on the depth chart, but several members of the Utah brass wished him the best of luck in his new ventures, including Whittingham and Offensive Coordinator Troy Taylor. There can be many factors, but in the end, the situation just didn’t work out. Utah will look to stay consistent with both Huntley and Shelley going forward.